It’s festive season, which means more guests, more events, more celebrations. At Blynk, we are always racking our brains to help you personalize your guest experience. The customizations that we built in Blynk iHotel, helps you to do precisely that. 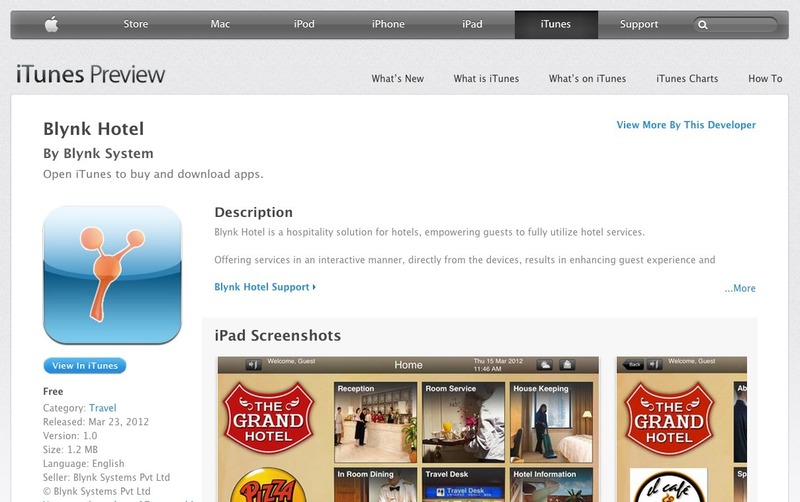 We are super excited that Blynk Hotel is now available on the iTunes app store. The app is a demo that shows you how your hotel app would work. The content on the app is fully customizable directly from the internet. Blynk Hotel, our revolutionary iPad based hospitality solution for hotels, coming soon!